The Tributes Add-on allows admins to designate how your donors can indicate a person that they are giving in tribute of. Most commonly, this is used for “In Honor of” or “In Memory of”. 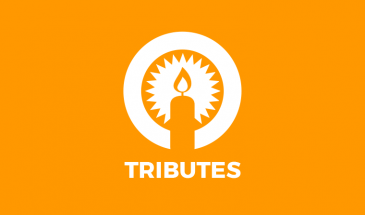 The Tributes Add-on empowers your donors to give in a way that honors their loved ones. You have the ability to create as many customer tribute types as you like. You can optionally enable both eCards or mail a physical card. 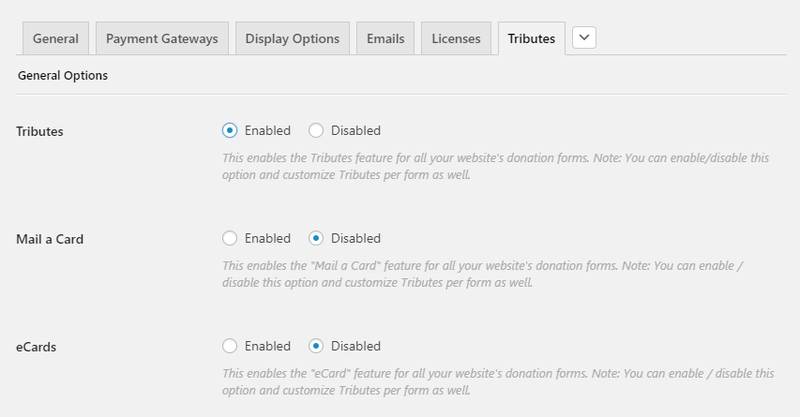 Tributes also allows you to manage the card requests you get from your donors, and provides custom reporting tools. 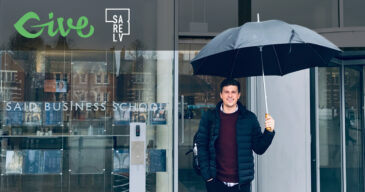 Each of the articles in this section go in depth on each of those features. Once you activate Give Tributes, you’ll be able to see the settings screen above, found in “Donations > Settings > Tributes”. But nothing will yet be enabled. To enable Tributes for your forms and/or eCards or Mail a Card, enable Tributes here. Once Tributes are enabled, you’ll need to enable eCards. After saving your settings, on page refresh you’ll see a new sub-menu item to set your eCard settings. The eCards and Mail a Card sub-menu items visible after saving settings. Similarly to the eCard setting, this menu item is only visible once saving the setting in the General Tributes settings page. If your donors want you to mail cards on their behalf, you’ll want a way to manage those. 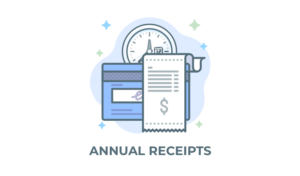 Give Tributes has powerful reporting features that makes printing your card and tracking whether they are mailed or not as simple as a few clicks. Additionally, you can track what eCards were sent on your donors’ behalf as well. Tributes Mail a Card Reporting screen.